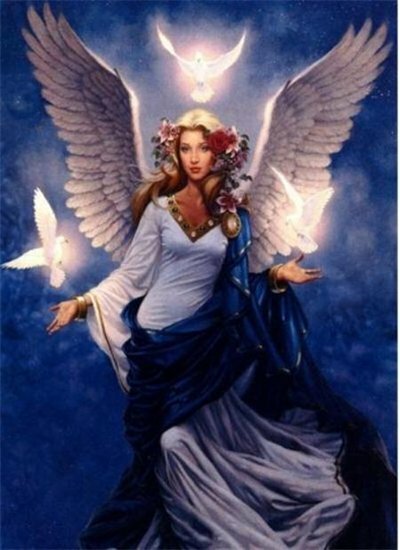 The Archangel Anael is said to be the ruler of Venus, the planet of love. He is the angel of marriage and he delights in all acts of love and affection expressed between humans. Anael, who also is known as Hagiel, also is said to be an angel of air and the force that breathes air into the body. It is believed by some that those that call on Anael can receive help in bringing about fulfillment of a love relationship and special blessings. This angel will not interfere in human destiny, but if possible for the relationship to bloom, he will help open the necessary doors leading to marriage. Obtain a single red rose and a single white rose. Remove the thorns, then hold the stems together and slide them into three rings. One ring is silver, one is gold and the third is copper. Place this on an alter with lighted white candles positioned on each side. Then burn sandalwood. Next face the east and recite a prayer, calling on Anael and asking for his blessings in your relationship.